He’s the scariest clown around! 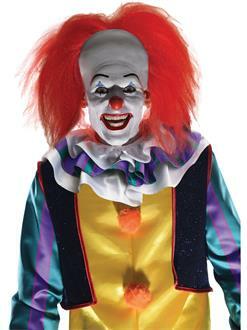 Add a throwback twist to your costume with the Classic Pennywise Adult Clown Wig. This shaggy red wig parts down the middle to recreate this iconic clown’s famous ‘do. Great for Halloween or cosplay! Shop officially licensed costumes and accessories online now.